(CNN) - Rapper XXXTentacion was robbed of $50,000 he had tucked in a small Louis Vuitton bag in his BMW when he was shot dead last month in Florida, according to court papers. The rapper had just withdrawn the money -- all $100 bills in bank wrappers -- before heading to a Deerfield Beach motorsports store. 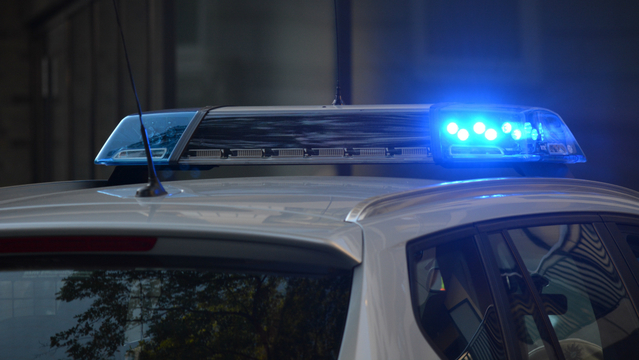 A dark colored SUV cut him off as he left the store on June 18, according to an affidavit of an arrest warrant of one of the men indicted in the killing. Several suspects were seen in cell phone photographs and video from the day of the killing holding large amounts of cash, according to court papers. 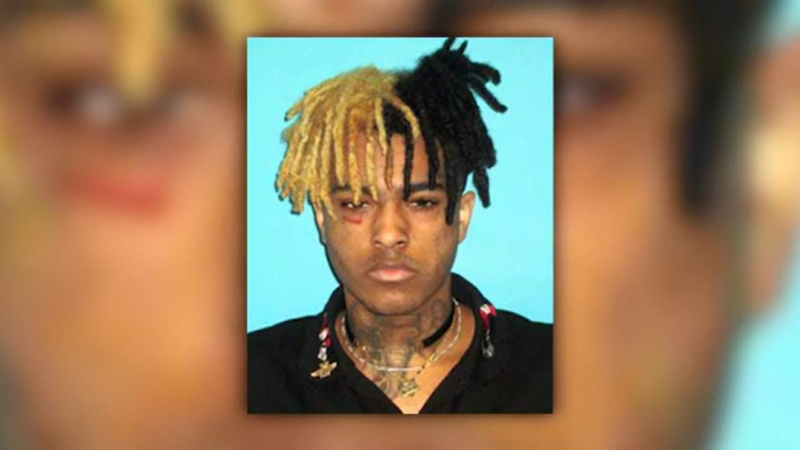 A Broward County grand jury on Wednesday indicted four men in all in the broad daylight death of the rapper, who given name is Jahseh Onfroy. Two of the suspects -- Dedrick Devonshay Williams, 22, of Pompano Beach, and Michael Boatwright, 22, of Fort Lauderdale -- are in custody. Williams and Boatwright were being held without bond, according to online records. Williams' public defender, Mauricio Padilla, told CNN in a statement that he disagrees with the grand jury indictment. "Given what the prosecution has offered as evidence this was not expected. We stand by my client's plea of not guilty," he said. Boatright's current public defender said he is withdrawing from the case and Boatwright hasn't been assigned a new attorney. Authorities are still searching for Trayvon Newsome, 20, of Fort Lauderdale and Robert Allen, 22 of Lauderhill, the sheriff's office said. The four were each charged with first-degree murder with a firearm and armed robbery with a firearm, according to the indictment. Boatwright and Newsome were the two armed suspects who confronted the 20-year-old rapper when he was shot and killed, the sheriff's office said. Boatwright discharged the weapon, killing Onfroy, according to the indictment. Williams was arrested two days after the killing. Boatwright was arrested on July 5 on unrelated drug charges, and last week, detectives served him an arrest warrant for first-degree murder while he was in custody at the county's main jail. A teller told detectives Onfroy had withdrawn the money from a Bank of America, according to the affidavit for Boatwright's arrest warrant. Surveillance video captured Onfroy and a friend arriving at the motorsports store around 3:30 p.m., minutes before the SUV pulled up, according to the affidavit. Two men got out of the SUV and passed Onfroy and his friend shopping in the store, the affidavit said. While in the store, one man wearing a white tank top and bright orange sandals -- later identified by authorities as Williams -- bought a black mask, the affidavit said. The two men left and got back into their vehicle, which remained in the parking lot for about 10 minutes. The vehicle then parked at a nearby residence for several minutes before later cutting Onfroy's BMW off as he left, the affidavit said. The rapper was shot after a brief struggle, authorities said. Three hours after the killing, a Dodge Journey like the one seen on the surveillance video at the motorsports store was involved in a hit and run in Fort Lauderdale, the affidavit said. Several males ran from the vehicle, including the driver, who Fort Lauderdale police later identified as Newsome, the affidavit said. He had returned to the vehicle, the affidavit said. Employees at the motorsports store, including one from whom Williams had purchased the mask, recognized the heavily tattooed Williams as a repeat customer, the affidavit said. Detectives later found Williams' public Instagram account, in which he went by the name "tattomanchucky," and Facebook page, which both had photos of him wearing a similar bright orange sandals, the affidavit said. Williams told authorities he was with the group that tried to rob the rapper but said he didn't know the robbery was going to take place, the affidavit said. Authorities seized several items from Williams' home, including a live .22-caliber round that matched casings recovered from the crime scene, along with items of clothing with tags still on them, and a receipt for almost $800 of clothes bought at a Fort Lauderdale store the day after the killing, the affidavit said. Williams was seen on surveillance footage from the convenience store wearing similar bright orange sandals, and a store clerk recognized him as a regular customer who had paid that day with eight $100 bills, the affidavit said. A video from Williams' cell phone made hours after the shooting showed him dancing with $100 bills, which he threw on the floor in front of him. GPS on his phone put him at the motorsports store a minute before the shooting, the affidavit said. Boatwright was seen holding several $100 bills in front of him in cell phone photographs taken hours after the killing, the affidavit said. Authorities also found a receipt for more than $400 worth of clothing and shoes, purchased on July 1, in a garbage can in a carport at Boatwright's house, the affidavit said. Two masks similar to the one Williams purchased at the motorsports store before the homicide and .22-caliber ammunition similar to the cases found at the crime scene were recovered from a vehicle belonging to Boatwright's relative, according to the affidavit. Several days after the killing, police uncovered searches on Boatwright's phone for Onfroy by his last name and for the words, "Accessory to Murder," the affidavit said. 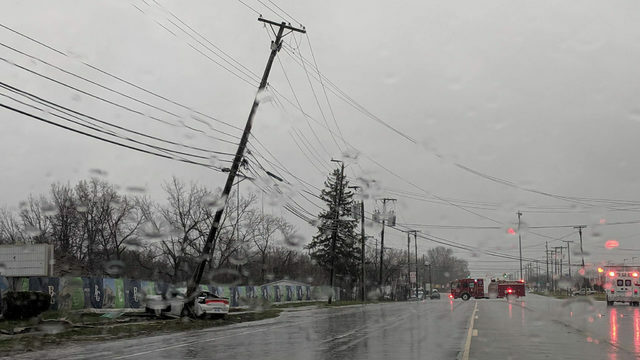 Police were initially looking for two men in connection with the shooting, a sheriff's spokesperson said at the time, but since launching the investigation, police made two arrests and announced they were seeking a second unidentified gunman, as well as Allen, who was initially named as a person of interest. Allen, who was seen entering the store with Williams, was identified from Williams' social media sites. Allen went by the nickname "Big Rob," according to a witness. Allen was also the subject of a felony warrant charging him with flakka possession, carrying a concealed firearm and a probation violation, police said this month. XXXTentacion was born in Plantation, Florida, and skyrocketed to fame after his song, "Look at Me," went viral on social media and SoundCloud in 2016. He was featured in XXL magazine's 2017 Freshman Class alongside other up-and-coming artists. His latest album "?" premiered at No. 1 when it was released in March, according to Billboard. Several rappers took to social media to mourn the rising rapper's death last month, including Big Sean and Kanye West.